Who is New Zealand's most attractive employer? The winner of Ranstad’s Most Attractive Employer was named last night and with only 0.1% separating the top two it was a tight race – but who was the ultimate winner? New Zealand’s national broadcaster TVNZ has been named the country’s Most Attractive Employer. The organisation jumped from fourth place last year to claim the supreme award, beating off runner-up Coca-Cola Amatil and third placed Department of Conservation. 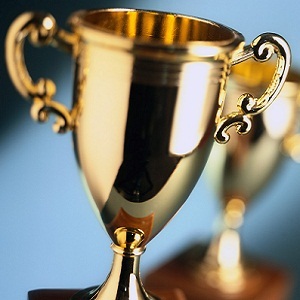 The annual awards, which were presented last night in an event attended by senior executives from 150 of New Zealand’s largest employers, recognises the organisations New Zealanders find the most attractive to work with. Paul Robinson, Director of recruitment & HR specialists, Randstad, said it was great to see the national broadcaster jump to first place, particularly in one of the most competitive and dynamically changing industries in the country. “TVNZ has been recognised as one of the top five most attractive employers in New Zealand for the past four years, but this is the first year the national broadcaster has claimed the top honour. It is testament to TVNZ that their appeal is across a wide demographic – with both young and mature workers rating the organisation as a highly attractive place to work because of its pleasant working atmosphere, flexible working opportunities and the interesting job content available at TVNZ,” said Robinson. The awards research revealed that almost one in every two Kiwis (47%) say they would like to work at TVNZ. TVNZ chief executive Kevin Kenrick collected the award and told the audience the accolade was “exciting and humbling” and was a testament to those who worked for the organisation. 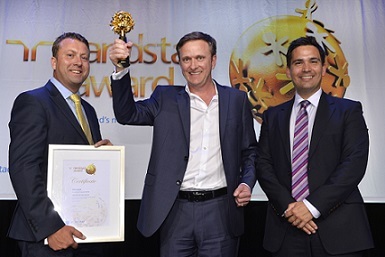 Other organisations honoured at the awards include Air New Zealand who was inducted into the Randstad International Hall of Fame, after becoming the first company around the world to win the top award for three consecutive years in 2011, 2012 and 2013. The Department of Conservation took home the Public Sector Award for the most attractive employer in Government, beating New Zealand Customs Service who were the runners-up. ASB Bank won the Banking & Financial Sector Award with Kiwibank runner-up, and Massey University took home the top honour in the Education Sector, narrowly beating the University of Otago. Pictured: Director of recruitment and HR specialists Randstad, Paul Robinson, TVNZ chief executive Kevin Kenrick and Labour Minister Simon Bridges.